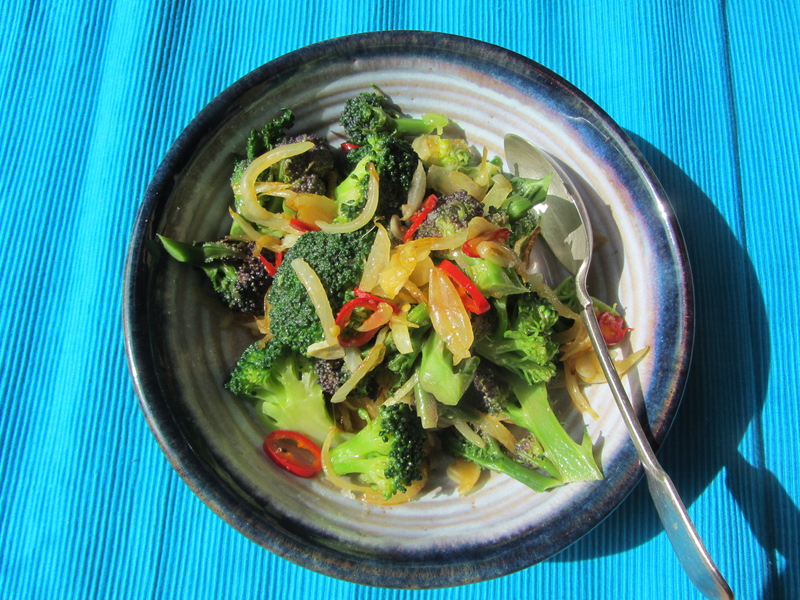 We’ve recently been swamped by broccoli – we seem to keep buying it although the fridge is full to bursting! Broccoli is lovely just boiled/steamed, but it’s good to do something a little more exciting with it occasionally. 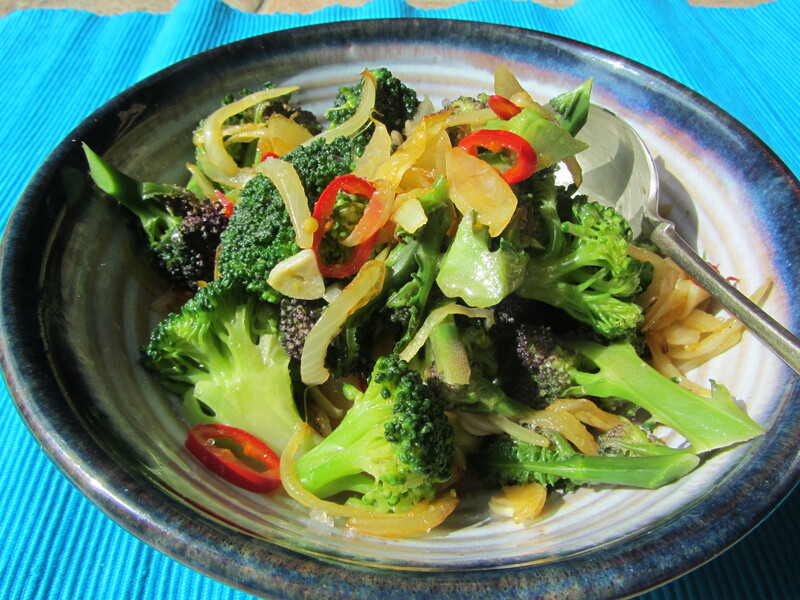 This combination of soft onions, fragrant garlic, hot chillies, broccoli and mustardy dressing is bold and fiery. Add more chilli if you like, but we found one chilli perfect. – Combine the vinegar, oil, mustard and seasoning. Whisk well and set aside. – Add the chilli and garlic and cook until fragrant. Set aside. – Dress the broccoli with the vinaigrette and onions. Yum! Broccoli is my all-time favourite veg. Definitely trying this one! I used to belong to a co-op that gave me double heads of broccoli for 6 weeks in a row. It was coming out my ears! I could have used this recipe then, but I’ll definitely be making it! That sounds like way too much broccoli – you can certainly have way too much of a good thing! I haven’t had broccoli for awhile. Bob won’t eat it and I don’t like to buy it for just me. But this salad looks so good I may have to make it for myself. Definitely worth making just for you – tasty and pretty healthy too!